Since my arrival on July 7, we have accomplished several activities. As an environmental health scientist, I was able to teach applicable modules to a wonderful group of grad students, clinicians (veterinarians, physicians, nurses) and scientists. 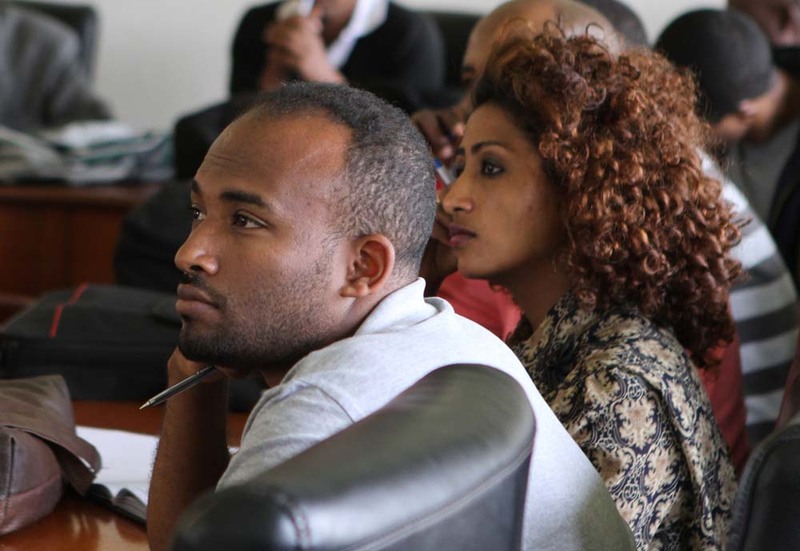 Addis Ababa University students listen as Dr. Bisesi lectures. The modules included lectures and discussions regarding the properties of various environmental matrices (air, water, soil) and the fate of microbial and chemical contaminants that can adversely affect plants, animals, and humans. An extension from the classroom included a field trip and qualitative assessment of the waste water treatment facility for the city of Addis Ababa. 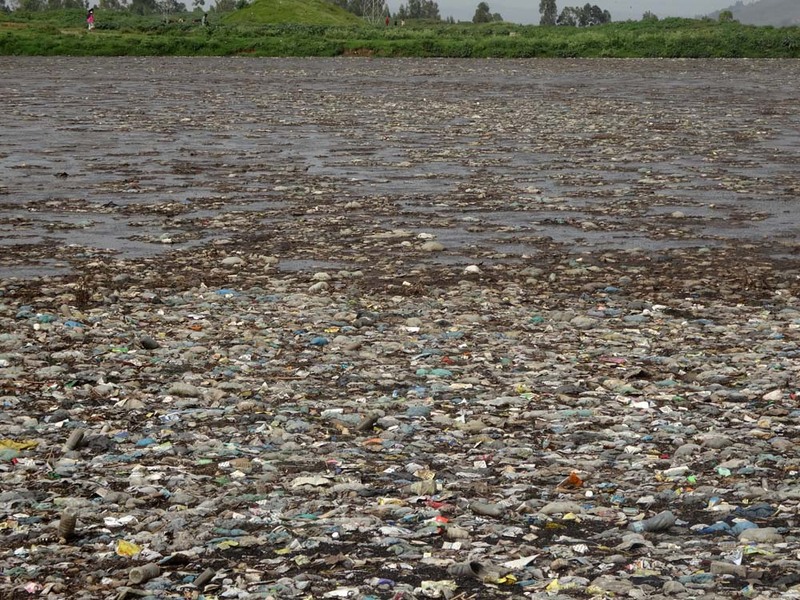 This was very enlightening since it demonstrated a system that has insufficient capacity for the volume of polluted waste water originating from municipal, industrial, hospital and runoff sources. The surrounding adjacent areas had fields growing crops, animals drinking and feeding, and humans using this area as a resource. This river runs through the Kera region of Addis Ababa. People use the river to irrigate crops. 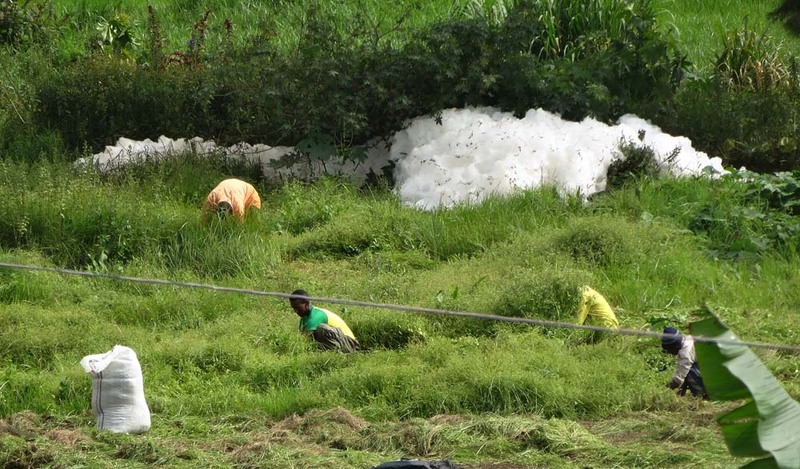 Field hands work near a large amount of foam caused by water pollution in the Kera region of Addis Ababa. I also visited the slaughterhouse and tannery which have some pollution control technologies and practices in place. Observation of the river and surrounding land confirms suspicions that multiple sources are contributing to environmental pollution that impacts animal and human health. Our integrated approach to address this will bring results, but much work lies ahead. Our Ethiopian partners are wise to have included this work as a priority for our partnership. 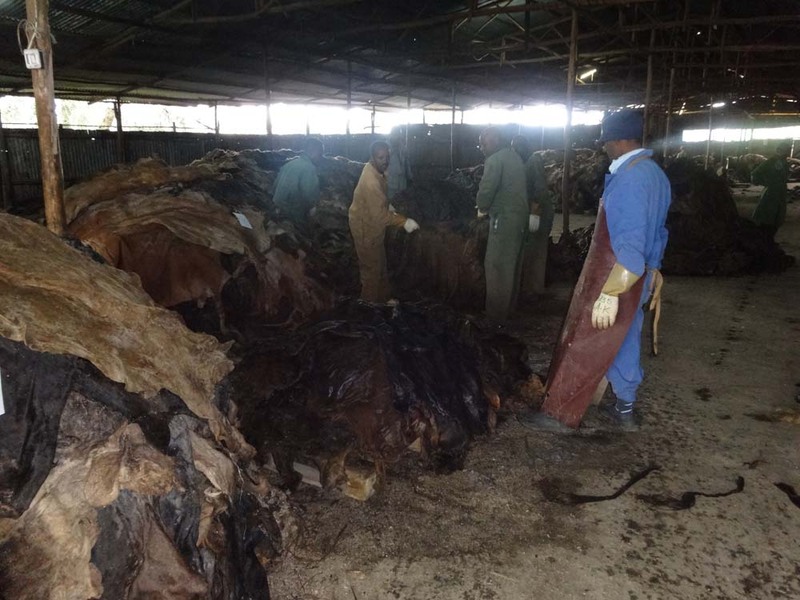 Hides are stored before processing at the tannery in Addis Ababa. Posted by omalley.44@osu.edu at 1:30pm Posted in Environment and Natural Resources, Public Health and tagged Addis Ababa, Environmental health, Ethiopia, Michael Bisesi, Ohio State University, One Health Summer Institute, Public Health. Bookmark the permalink.